"They didn't even have to use Mario to get 1 million downloads"
Following its launch in Japan on 17th March Miitomo has achieved some impressive results. It passed one million downloads in three days, and at the time of writing is still topping the free-to-download charts for iPhone and Google Play in the country. As Nintendo's goal is to boost brand awareness through establishing a large userbase for the social app, it's sure to be pleased with results so far. The positive performance now seems to be trickling through to the markets, as the performance of Miitomo is being credited with a sizeable increase in share value when the Tokyo exchange closed on 22nd March. Nintendo's share value gained 1250 Yen, or 8.19% overall, which itself is the biggest increase since 15th February. The bump wipes out what was actually a couple of day's decline following the app's launch. Bloomberg quotes Tomoaki Kawasaki, an analyst at Iwai Cosmo Securities Co, who highlights how it's a representation of Nintendo's potential with its content on smart devices, albeit monetising those downloads is a challenge to be addressed. They didn't even have to use Mario to get 1 million downloads, a testament to the power of Nintendo's content. The next question is how to monetize. All of this positivity is only off the back of the Japanese release, of course. 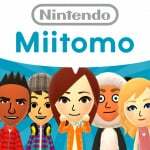 Both Miitomo and the My Nintendo loyalty programme are due to launch in a range of Western territories this month. Now... how about some actual games for mobile devices, Nintendo? I'll be waiting. But yeah, good for Nintendo! This is what I call a fantastic start! Good for Nintendo. In my opinion they should try to dominate the mobile and console gaming categories separately so that they don't mix and create games that are less fun for console gamers and vice versa. Now let's see how miitomo does in other regions and if it has legs. I am happy for the positive response, but I am curious if there has been much in the way of revenue generated off of it. Good to hear. Let's see if it'll do as well over here. @fortius54 It's a free app, so besides the stocks rising, I don't see how it's helping their pocket book. Gotta start charging for something on there, maybe outfits? @KoopaTheGamer Sure.....have actual games in the system so that it might prompt them to make games only on Mobile! I rather have mittomo revenue fuel console/handheld games. I feel like it'll be a nice program for them. In a world where a bunch of social media apps exist right now, it's cool to see some new ideas brought in. Although I think the idea is a little close to to what formspring used to do. I sort of imagined the app to be like the app that was in Gatchaman Crowds. It seems that some are scratching their heads as to how this app makes money. It doesn't. It's designed to expose consumers to products that do cost money. @Socar Nah, I can't see that happening. Mobile devices offer some features Nintendo's own consoles and softwares don't offer (social features, [good] camera, multitouch-touchscreen, ability to share content easily, cloud saving...). That's why I want to see mobile games that wouldn't necessarily even work on traditional consoles. I'll enjoy this app as long as they implement a more mainstream messenger. the initial decline was likely perceived doubt. once speculators saw that the nintendo name could carry a title that wasn't even a game on a platform that isn't even theirs, up it went. the reporter on my feed described the jump to mario's where he hits a question mark and finds a gold coin. imagine what happens when pokemon go comes out. i'm still predicting super mario player for ios/android this year. that's great Ninty, now could you guys please bring My Nintendo and Miitomo to North America already? speaking of My Nintendo i have to ask, when they said you get coins/points for buying Eshop games with reward program, do VC games and retail games like Kid Icarus Uprising for example count as well? @KoopaTheGamer What features are we talking about here? Gyroscope- 3DS, Wii U and to an extent, GB/GBC and GBA. Touchscreen- 3DS, DS and Wii U.
Wireless features- DS, 3DS, WII and Wii U, GCN and GBA and more. The only reason why people get mobile because its a phone built specifically for social features which consoles actually have except that its more portable than traditional consoles. @CUBANEWYORKER The only info on the rewards system to date is that actual games gain coins, but DLC and themes do not. No mention of VC games as yet, but I suppose they count as actual games (hopefully). Too bad companies have to worry about shares...it's just hype, nothing else. And it's not really a surprise the first free app with the name NINTENDO on it is downloaded like crazy. The future will show if the whole mobile thing is really successful. Do they ever consider the fact that Nintendo has a great brand because of quality, not just because they slap mario on top of a turd? So sad that Iwata isn't with us to day to give shareholders and neighsayers a big "told you so!" @Socar For gaming purposes, multi-touch (capacitive) touchscreen is a big thing. DS, 3DS and Wii U have resistive single-touch touch-screens. Smartphones (and tablets) can run applications or some functions of applications in the background and notify user when something worth knowing is happening. This will surely be used by Nintendo as well. Mobile devices also support cloud save and unified accounts etc. This is technically possible with consoles, but it hasn't really been supported by Nintendo. With Google Play and stuff, it's almost a standard these days. It's essentially Tomodachi Life Lite for Mobile, so if course it'll be popular in Japan. Hell the only reason my opinion about this app changed is because of that realization. Shareholders will push for more mobile now. That is the only worrying thing about Nintendo going mobile. Once it makes profits you will see shareholders asking for more and more. Good start. "How to monetize"
This thing is meant to get people tied into My Nintendo, and be a hub of interest that leads to other mobile games and, most importantly, dedicated Nintendo hardware. Sure, there might be some monetization directly from the app, but it's way too early for much of a focus on that. Investors don't want to hear it but this is a long game. It is indeed impressive that Mario was not invoked to get interest and it is as successful as it is so far. These Miis may still strike a chord with people who remember the Wii fad. Also, keeping interest in a sea of apps is going to take many frequent updates, so I suspect miitomo is going to feel like an entirely different app in year's time. It's pretty clear how it is monetized: users may purchase the in-game currency used to buy outfits and such in the game. Nintendo will probably make deals with other companies as well to promote brands/products within the app, not unlike Mercedes DLC for Mario Kart and Mario Maker. And like Badge Arcade, it will almost certainly promote new Nintendo games and products. Why are people surprised? Nintendo's first smartphone app was always going to do well in Japan. 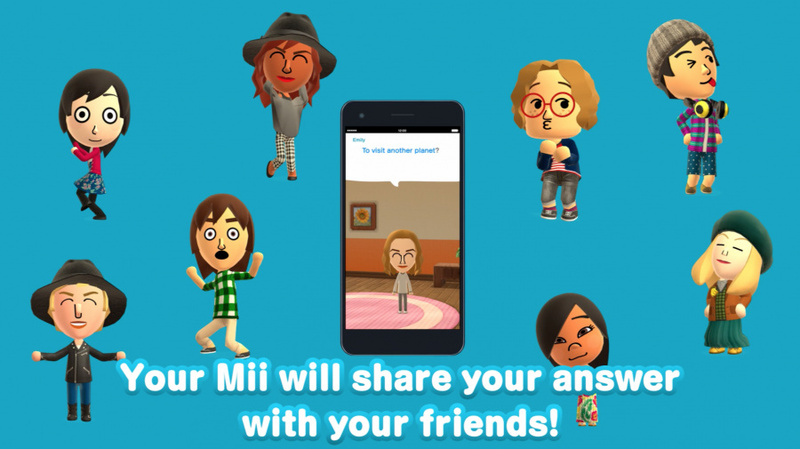 The big questions are whether Miitomo will do well in the West, and will their second app do as well? Actually there is monetization. You can get coins daily and spend those coins to get cloths and outfits. You can buy coins with real money if you feel that your not getting enough or there's a certain outfit that you want to get before the week is out. Well, it's free and Nintendo's mobile debut, so ... I don't see how one million people bothering to download the app is that big a deal. That's one out of 127 people, who are not necessarily even using it, not to mention spending money on it. If anything, that only shows how low the bar is currently set for Nintendo. They're gonna need that share jump, because it's going to plummet again when they reveal the NX in April or May. It's not even in America yet and I've already downloaded it. @yuwarite Is that been proven? @Freeon-Leon Check the article, it's just been posted. @KoopaTheGamer I assume they aren't trying to rush out a game, and Miitomo is more of a stopgap measure to keep people happy while they put money and time into an actually good mobile game title (unlike all the companies that love to churn them out on mobiles). I'm not really sure it's a big deal yet. By tying Miitomo to the launch of MyNintendo and giving rewards, this was always going to be a hit among Nintendo's core base. The question is Miitomo reaching a broader market than traditional Nintendo fans and will they in turn spend money on Nintendo products or be happy with free apps?